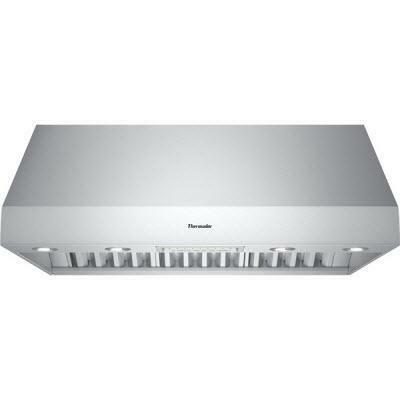 54" wide hood from Thermador Professional Series of 27" deep wall hood. 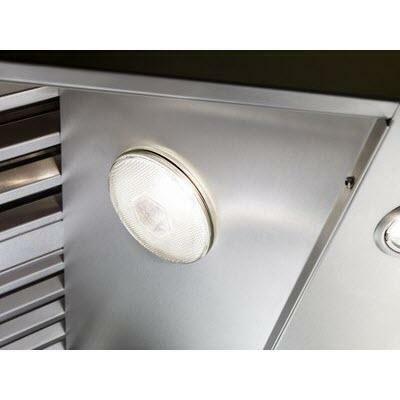 No need to worry about lingering odors or smoke with this elegant ventilation system offering powerful three fan speed and delayed shut off tackling lingering odors for up to ten minutes. And cleaning your filters has never been easier with the simple and quick removable dishwasher-safe baffle filters and grease collection trays. 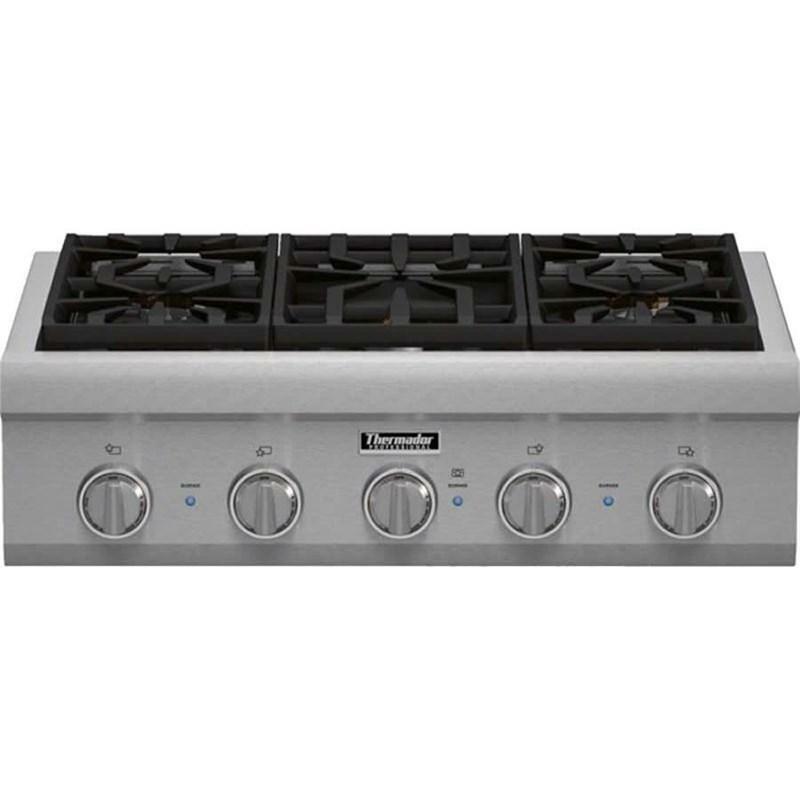 Additional Dimensions Overall Appliance Dimensions (Width Of Canopy Included) (HxWxD) (in): 18" x 54" x 27"
Thermador 48" Professional Series Pro Harmony standard depth liquid propane range with grill. 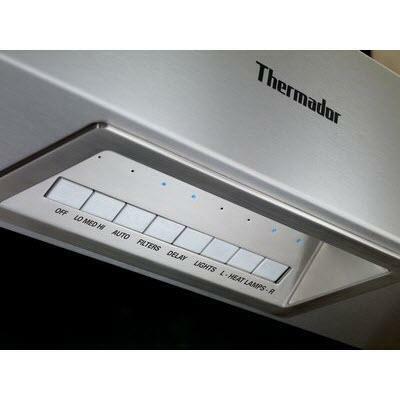 This model features ExtraLow® burners, a fast time to boil and QuickClean Base® designed for easy surface cleaning. Capacity (cu. ft.): • Total capacity : 6.6 cu. 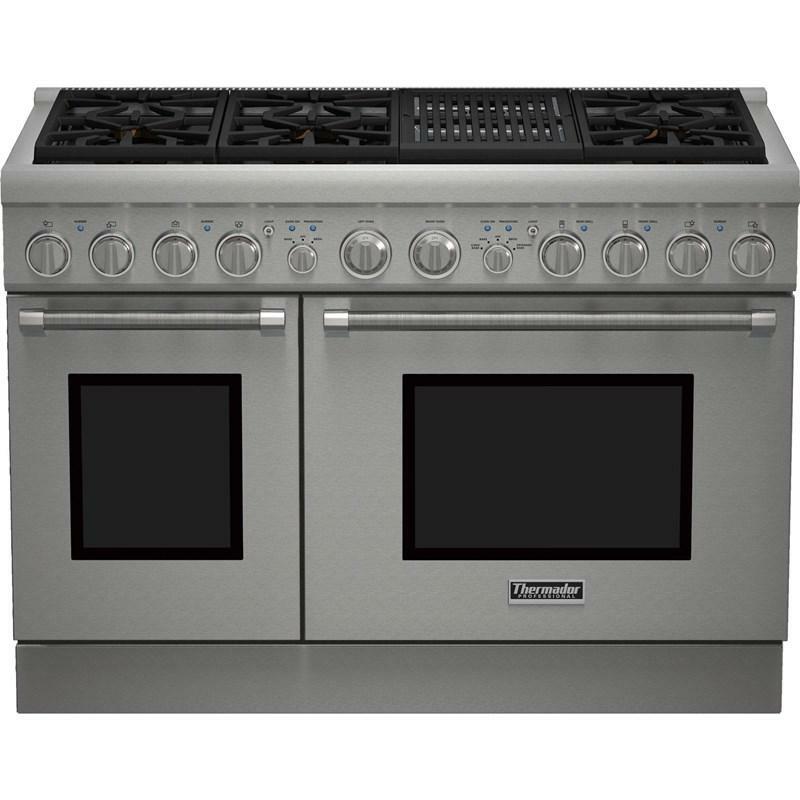 ft.
• Large oven: 4.4 cu. ft.
• Small oven: 2.2 cu. ft.